The Senate health bill, if passed, could mean death for thousands of Americans living with HIV while simultaneously increasing the number of new transmissions. Decades of progress in limiting the AIDS epidemic will be reversed in just a few years. The proposed Senate bill does just the opposite. It eliminates protections for people with preexisting conditions like HIV, and it mandates drastic cuts to Medicaid, the program upon which over 40 percent of the 1.1 million people living with HIV in the U.S. depend. Without federal support for Medicaid expansion, Colorado could lose billions of health care dollars and be forced to cut Medicaid coverage making it more difficult for people living with HIV to access care, the key to ending the epidemic. Well, it didn’t take long for Summit County to do something pretty silly. The first article I read (out of two) today slamming Vail Resorts for not paying $150,000 toward employee housing at least had the decency, although it was the last sentence of the article, to note that Vail Resorts was providing the land. The last time I checked land is not FREE in this county. Why should Vail Resorts pony up for the land and half the cost of the building? The town of Breckenridge and apparently Summit County as well, seem to forget that Vail Resorts could put Breckenridge Ski Resort on the market anytime. Think I’m wrong? Ask the folks at Winter Park, Steamboat Springs or Whistler. Being acquired by a large corporation has been a huge plus to this town in terms of tax revenue, customers for local businesses, etc. Being sold maybe not so much. I am constantly puzzled by the attitude, especially by town council, of acting like Vail Resorts is the enemy. Vail Resorts wants to be a good partner. 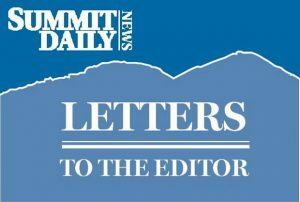 But whether it is the town failing to honor the plan that the tax on lift tickets was supposed to be used to build a much needed parking structure or this latest nonsense of expecting Vail Resorts to pay more than its share, I continue to be amazed that Vail Resorts hasn’t decided to unload Breckenridge Ski Resort. I watched from afar this weekend as Facebook filled my feed with photos from old friends attending the grand re-opening of the shiny new performing arts complex in Silverthorne. Watching this development unfold in the last year made me both excited and emotional because LDTC means so much to me. I came of age in that old theatre, including the stuffy dressing room and tiny light booth, and learned about life through my experiences there. As a teenager, I took summer classes and even helped teach the children’s theatre program at the amphitheater for several years. I watched Kitty Skillman create beautiful choreography, Lenny Singer direct incredible shows, Kelly Renoux sing in her perfect voice (and Matt Renoux always makes us laugh) and Gary and Kelly Ketzenbarger bring characters to life in the most authentic, awe-inspiring ways. All of these people and more shaped me in countless ways. I can’t remember who hired me as the first ‘intern’ for Chris Alleman when he came on board but I’ll never forget the day I met him and Josh Blanchard. I was immediately in awe of them. A girl from a small town who had big ambitions but no real direction and in meeting them, finally some mentors to truly look up to. In the next few years I’d work with Chris and Josh on countless shows and projects — they mentored me and taught me how to work in theatre, how to work hard but also have a good time (but don’t un-wrap candy in the light booth!) and how to be open and welcoming to all types of people. I worked with kids, with adults and supported the first summer company who performed at Keystone and learned how to run lights and sound. I learned so much, and I grew up. I found a place that I fit in. Without this experience I never would’ve pursued stage management at CU Boulder and I wouldn’t have been brave enough to go to NYC and work for a brief stint in the whirlwind Broadway theatre industry before finding my path in health and nutrition. Although our paths have all taken us in separate directions I’m so grateful to everyone at Lake Dillon Theatre Co. for all you’ve taught me and so excited to see all you’ll do in the years to come in this beautiful new space. Cheers to everyone involved in the project and I can’t wait to see a show next time I’m in town.